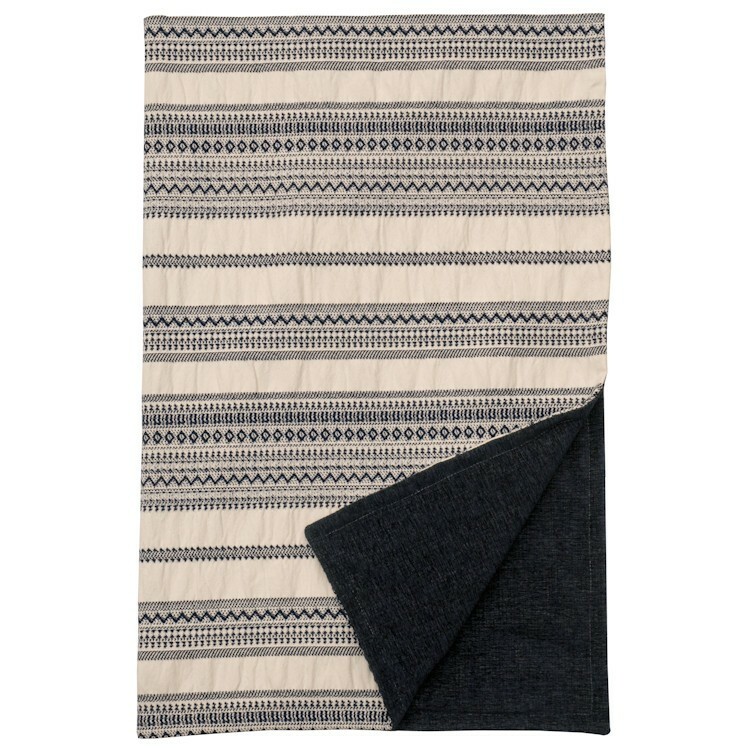 Crisp blue and cream lines define this simple Scandinavian-style Bellacourt Bedding. 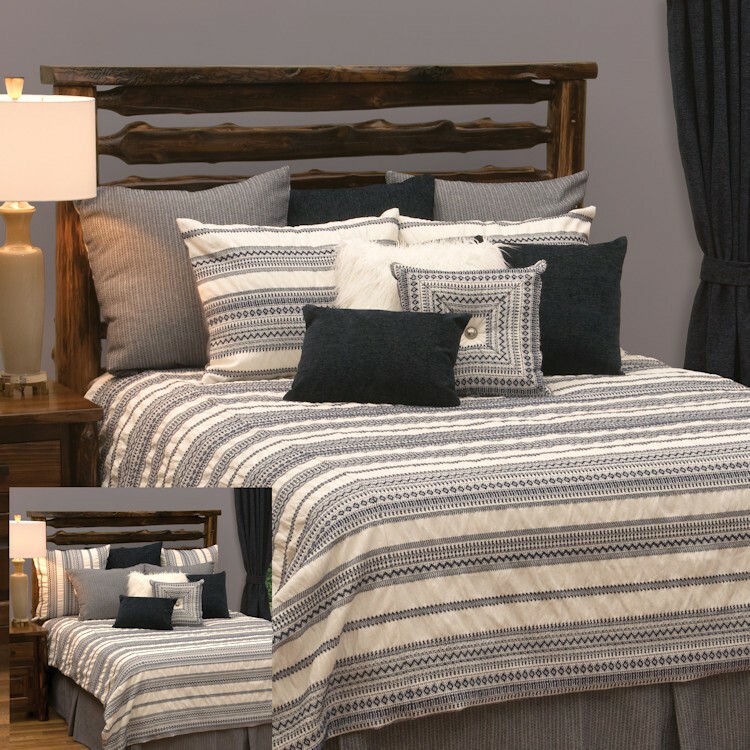 The pillow sham repeats the look of the duvet cover while the coordinating tailored bedskirt is a hounds tooth gray pattern. 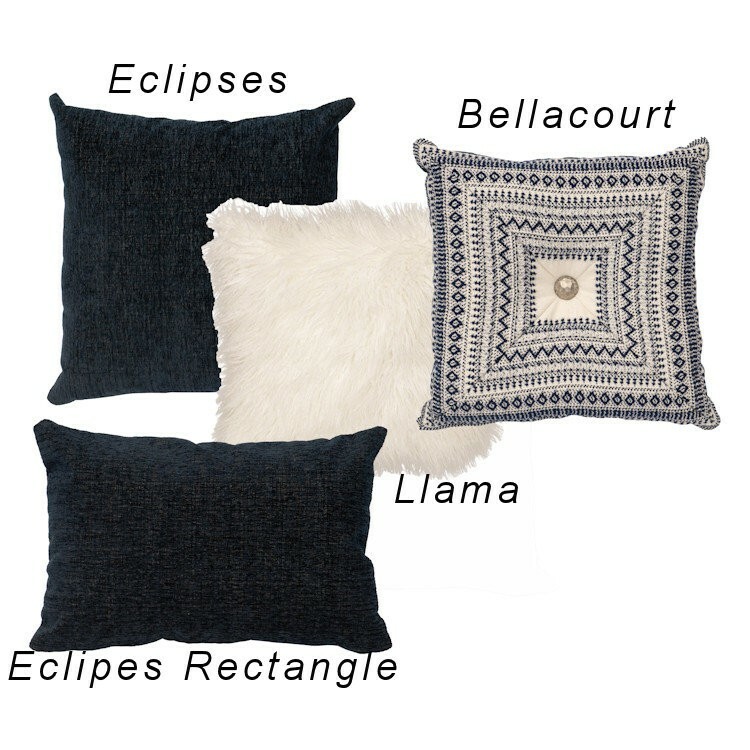 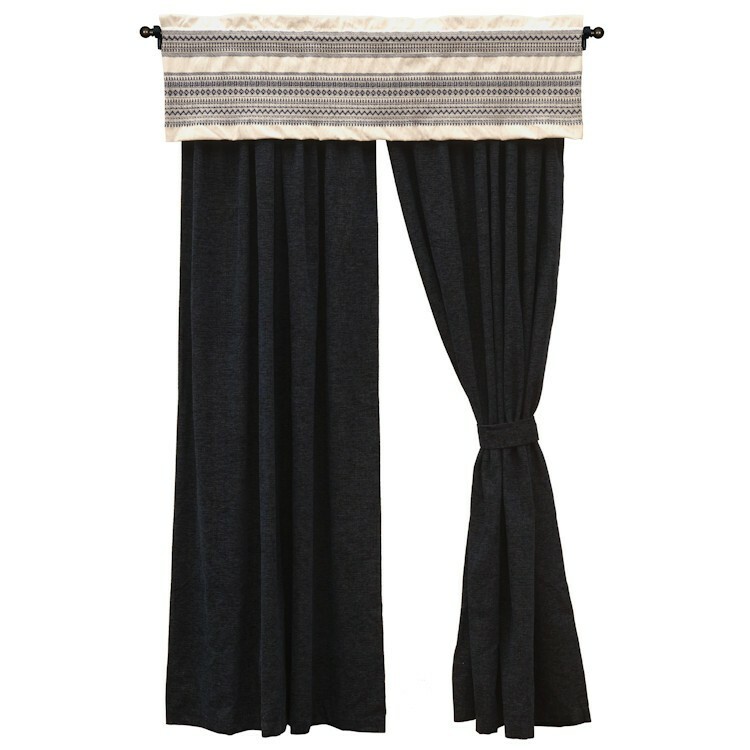 Deluxe Sets Include three euro shams (2 Reversible Bellacourt and 1 Eclipse) to complete this bedding ensemble.